I have owned Triola for near on ten years now and our little 2GM20 has served us well over those years. I have serviced it religiously every year, although one thing I had never done since owning her was take the exhaust elbow off to inspect it. 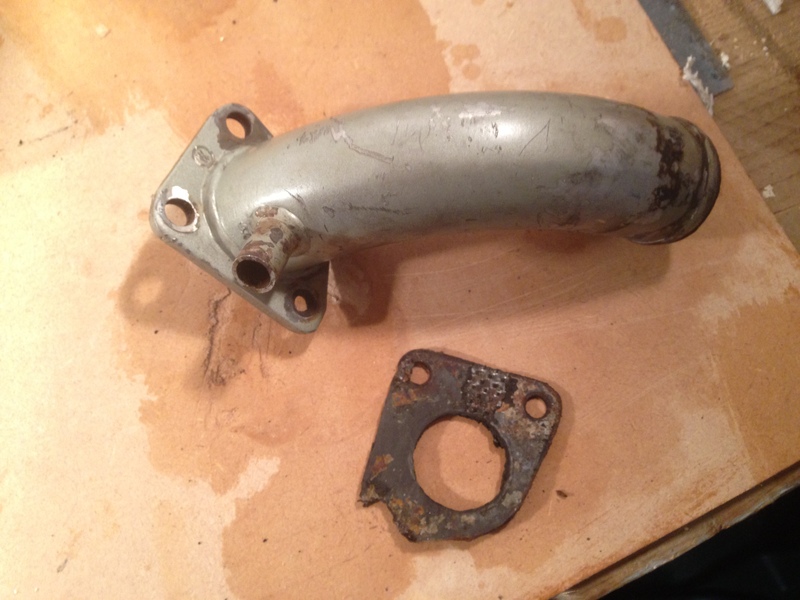 After reading the PBO article suggesting that it was wise to do so as the inner sleeve of the exhaust elbow could fail at the flange with the engine and allow salt water into the block, effectively ruining the engine, I decided this year, it was time to get nasty with the elbow and take it off for an inspection. My late father, Colin Ryan, was a shipwright and a marine engineer of much repute. 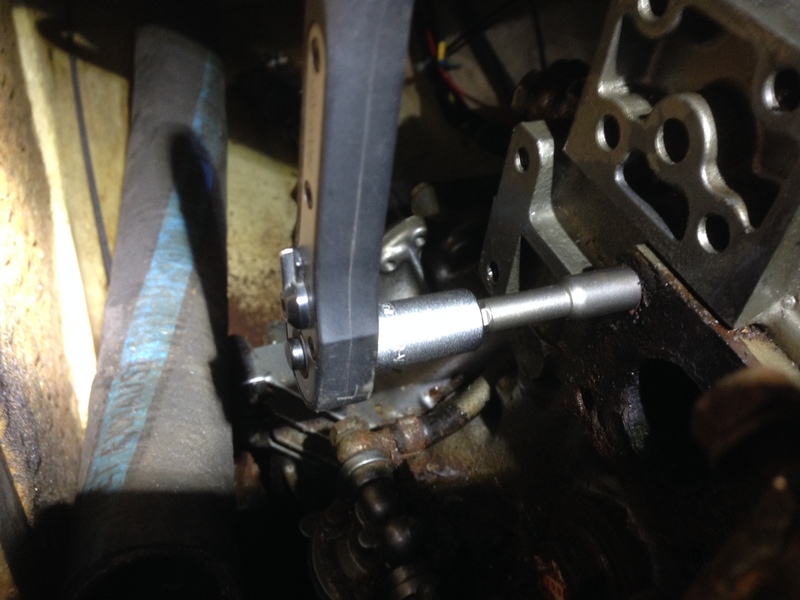 Years ago, when he taught me to service my engine, he asserted how careful you need to be about sheering bolts off into the head or block of your engine, conjuring up images of having to take the engine into its constituent parts to allow for any sheared off bolts to be carefully machined out. 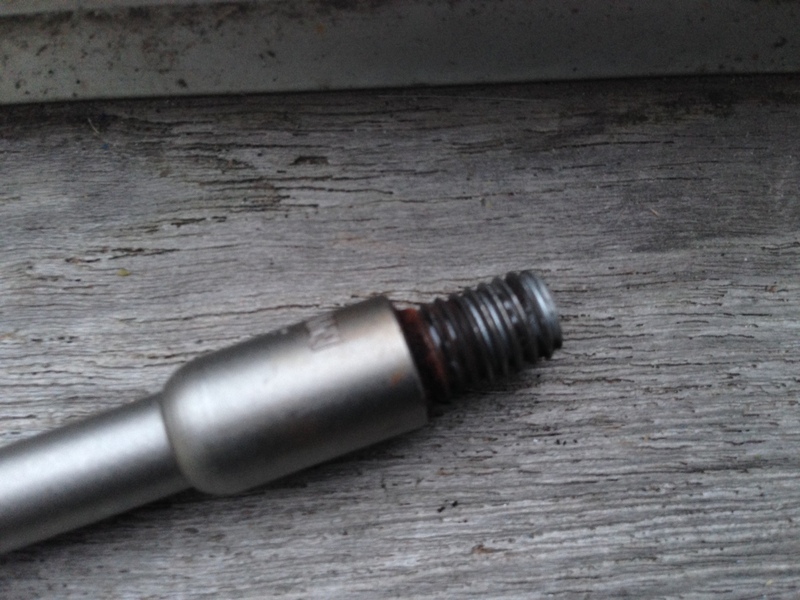 With those memories far from my mind, I soaked the exhaust elbow bolts for a few minutes in WD40 before putting a socket on the first bolt, I noted it was pretty tight so leaned gently on it and it cracked, and came out. I moved on to the next bolt and repeated the process, this time it felt even tighter, so I leaned on it a little harder. All resistance gave way in that sickening, familiar feeling, that to my horror, I knew meant one thing – the bolt had sheared off! My fathers words of warning rang in my head and I recoiled from the engine with visions of needing to remove the head of the engine. 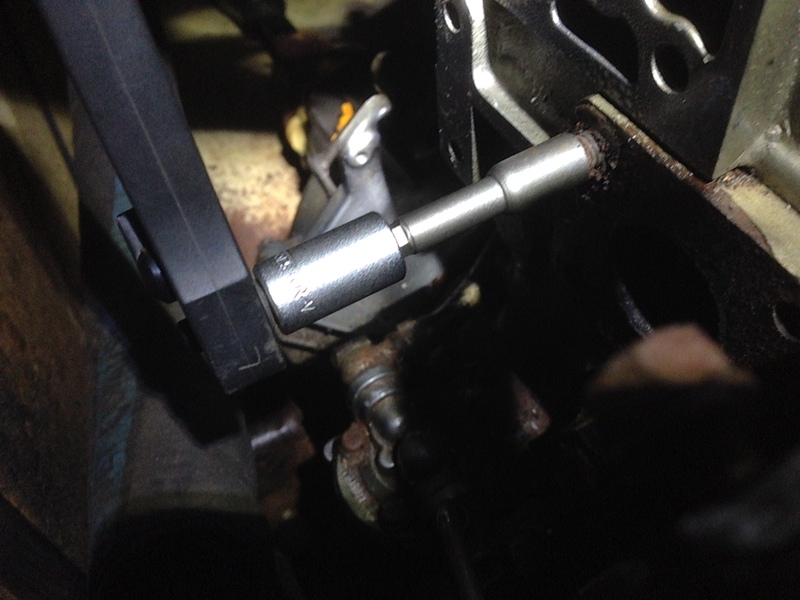 I gingerly removed the final bolt holding the exhaust elbow on, and the exhaust elbow came away leaving the remains of the studding from the sheared off bolt sticking conspicuously out of the engine. 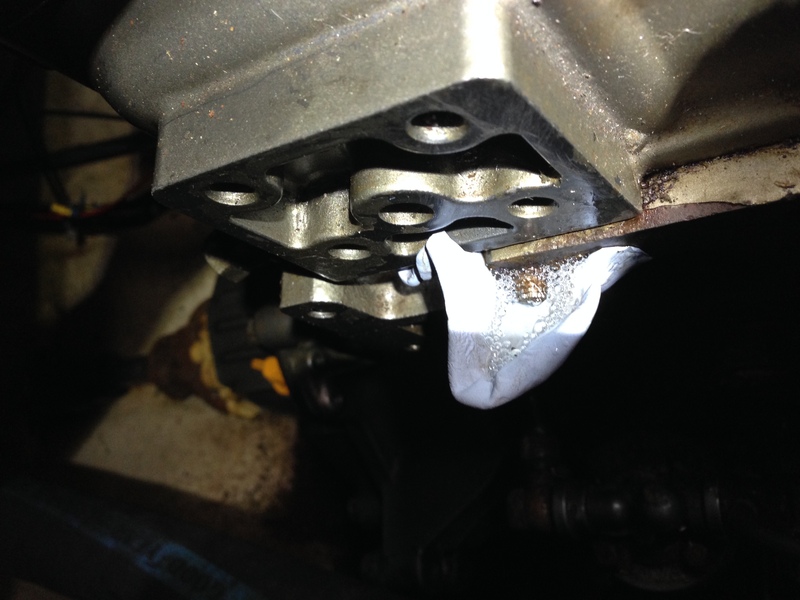 The first was to soak the thread in ‘PlusGas’, which is far more effective than WD40 when trying to remove seized components – WD stands for water displacement, and that is what it is best at. 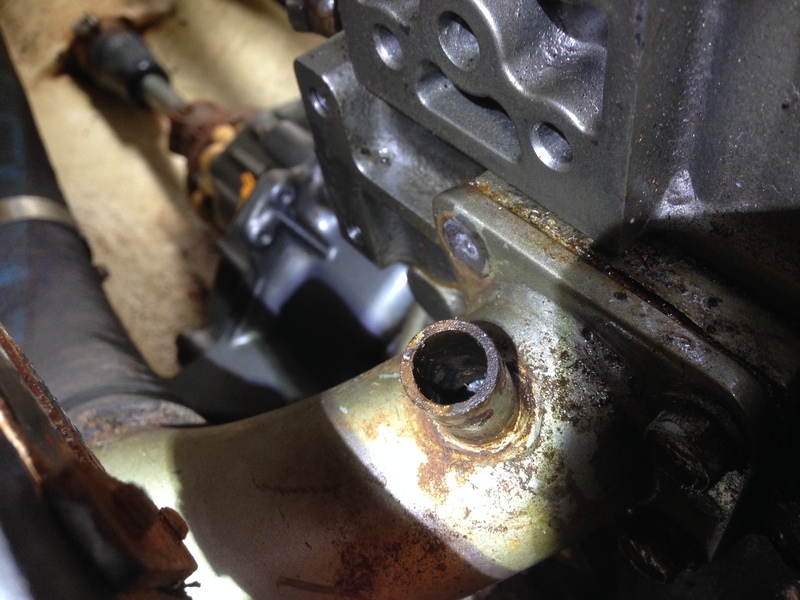 The trouble with the remains of the exhaust elbow bolt is that it sticks out the vertical side of the Cylinder head, meaning any PlusGas applied would simply run off. I created a well using bluetack to allow it to soak for a week whilst I put together a battle plan. 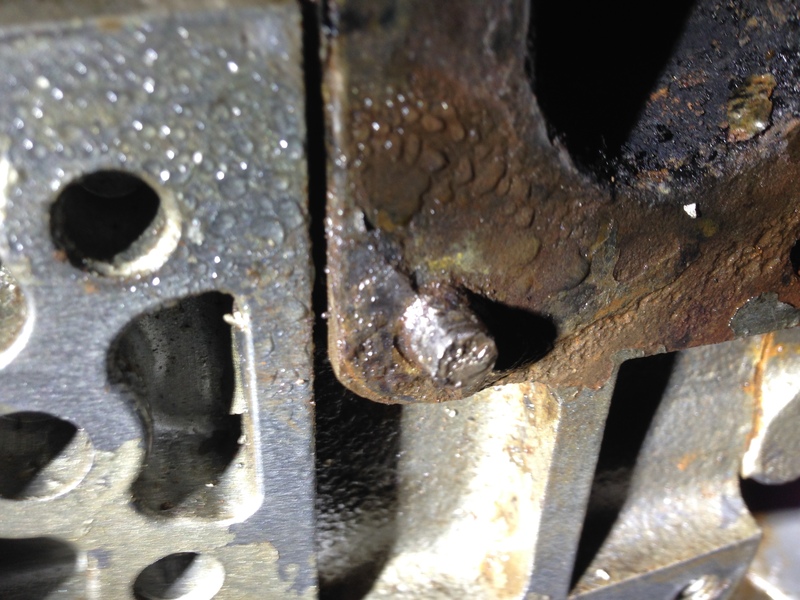 The problem here is that rust has galled the bolt into the head, heat and cold can be used to expand and contract the remaining studding to break the rusted bond between the studding and the head. I used a mini blow torch/butane soldering iron to heat it up, before dousing it quickly to cool it down. Its hard doing this safely in the confines of the engine bay, an alternative is use put a soldering iron against the stud itself. A tip from the PBO forum suggested using a punch, just smaller than the stud head, and give it a few good, hard wacks to help loosen the corrosion in the threads. They continued by adding “This does not work on all materials and should not be used on free standing cast Iron/steel parts, as you will break them”. 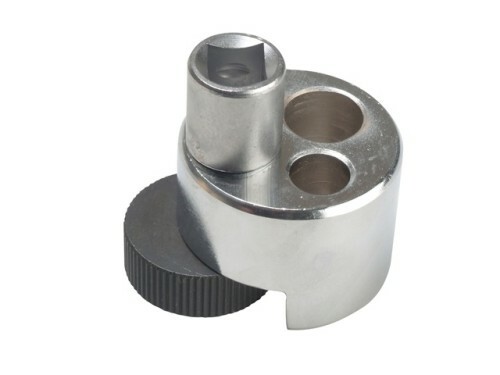 What we want to do is avoid damaging the stud remaining outside head – if we break that off, we will almost certainly need to do some form of drilling in the head which we want to avoid. I did have a tentative try with these tools, however, both slipped and stripped some metal off with them as they did so, so I quickly recoiled from these and moved on to other methods. These are designed for this job. 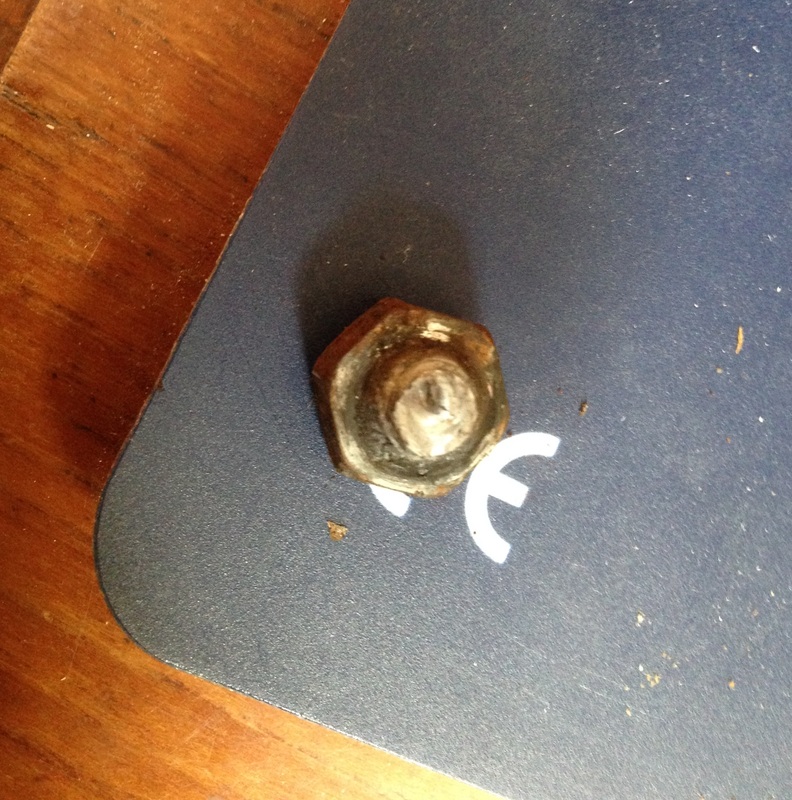 The bolt was originally an M8 stud, meaning it should be 8mm diameter. Others of the forum recommended a Teng 2300 stud extractor, which claimed to work down to 5.5mm, however, it was clear that we had lost so much of the body of the studding, it didn’t have enough to grip onto. 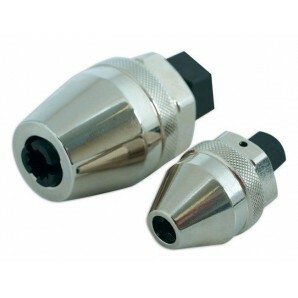 I next purchased the Laser Tools Impact Stud Extractor set, with the larger extractor operating between 6mm and 12.5mm (so no good in our case) and the smaller operating between 2mm and 7mm, which I thought had to work in our case. 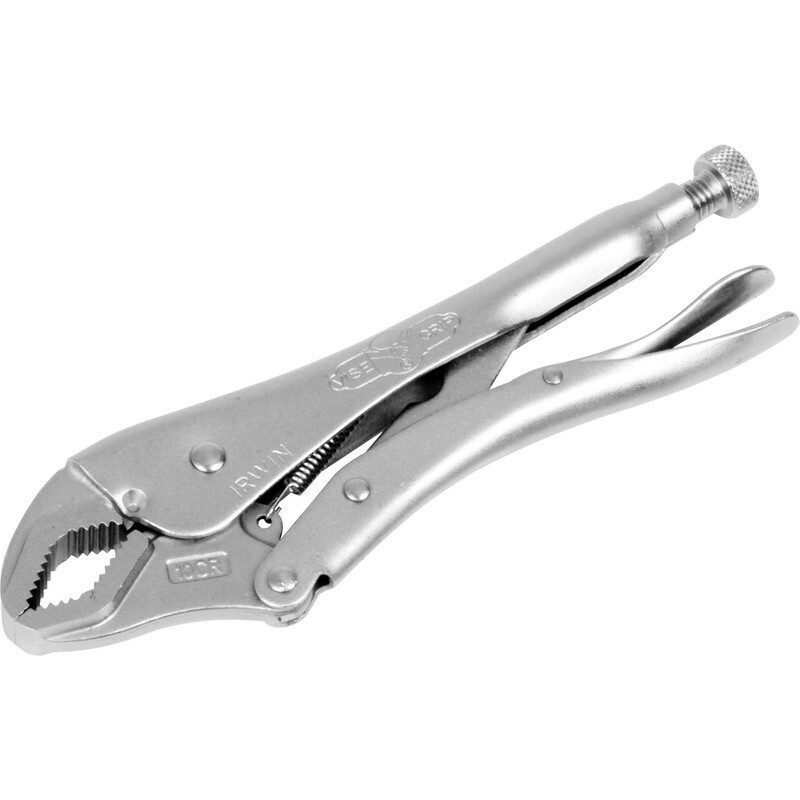 The idea behind these is to use the larger body of the extractor to tighten the extractor onto the stud, before applying a wrench to the back of the unit to extract the stud. All very good in theory. The larger of the extractors slipped, as we expected. 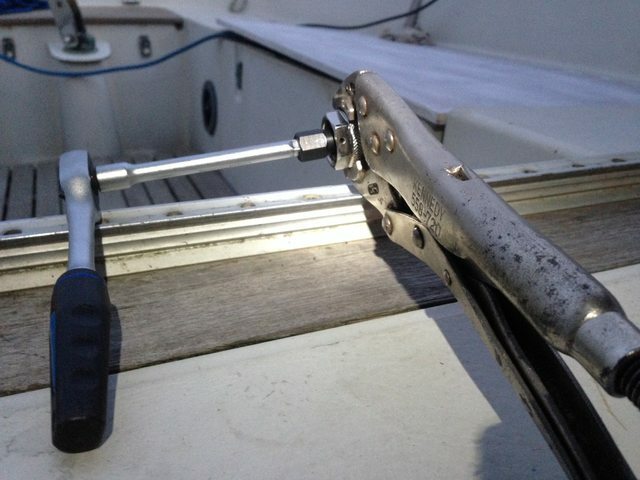 The smaller extractor required the stud to be longer in order to lock on to it. So back to the drawing board! 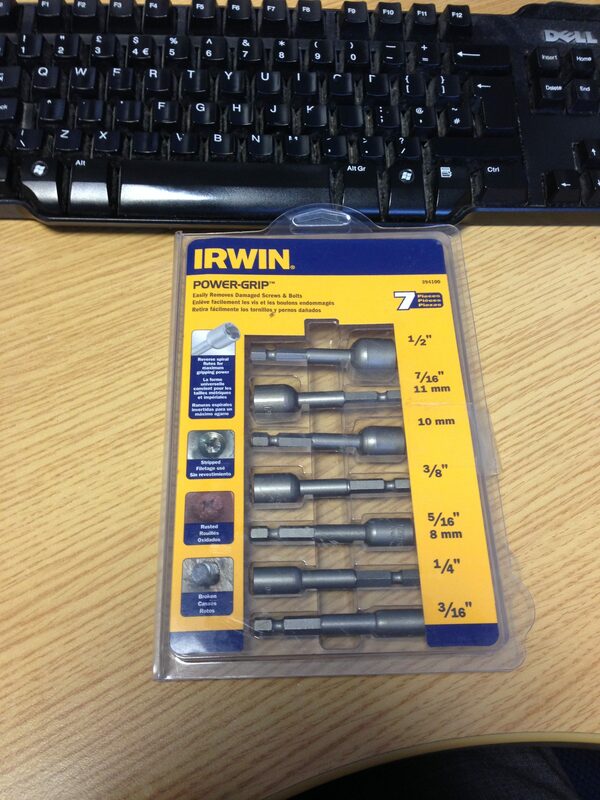 Irwin power grip stud extractors – Finally, success! I was beginning to lose hope, and looking into the grim possibility of taking the head off an otherwise fine engine in order to drill out the remaining thread. 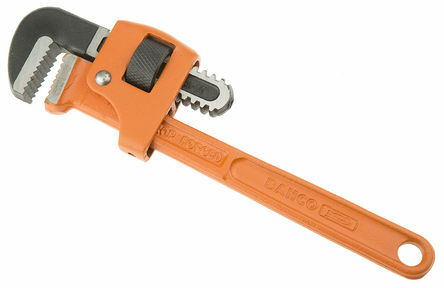 I tried one more tool sourced from the lovely people with all the toys at Axminster. These are reverse fluted to lock onto the thread and drag the studding out and require very little visible studding. This was my one last ditch attempt and getting the studding out. I heated the studding up again for a long period and then doused it again. 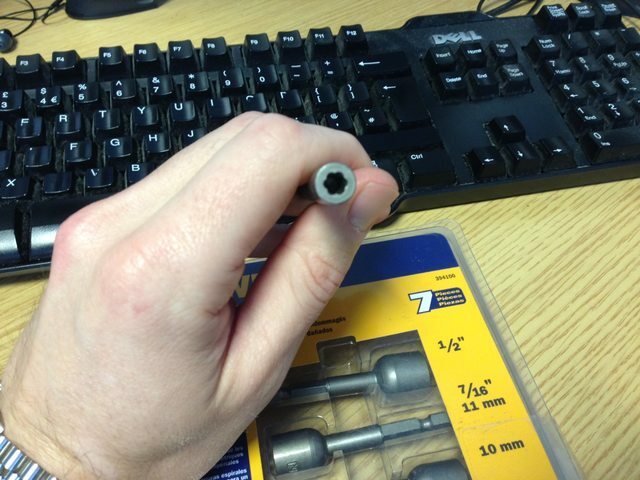 I then put the stud extractor on a socket extension and bashed the smallest one onto the stud. I slowly increased the torque, feeling the Irwin extractor biting down hard into the steel of the stud, and slowly, but surely, I felt movement begin. I was anxious as to whether it was just my last remaining studding sheering away from the block, however, continued on. 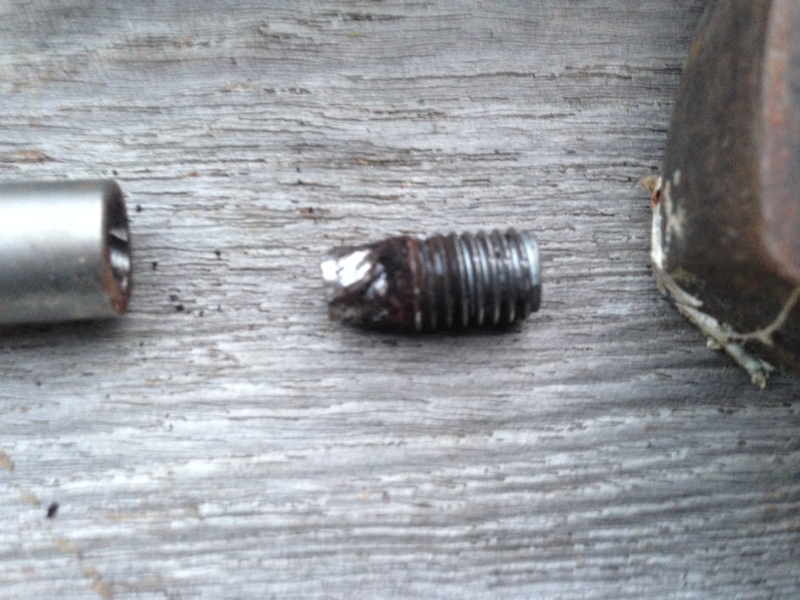 To my immense relief, I noted fresh studding coming out from the head as the bolt finally gave way and came out. You can see just how deeply the extractor had dug into the studding. 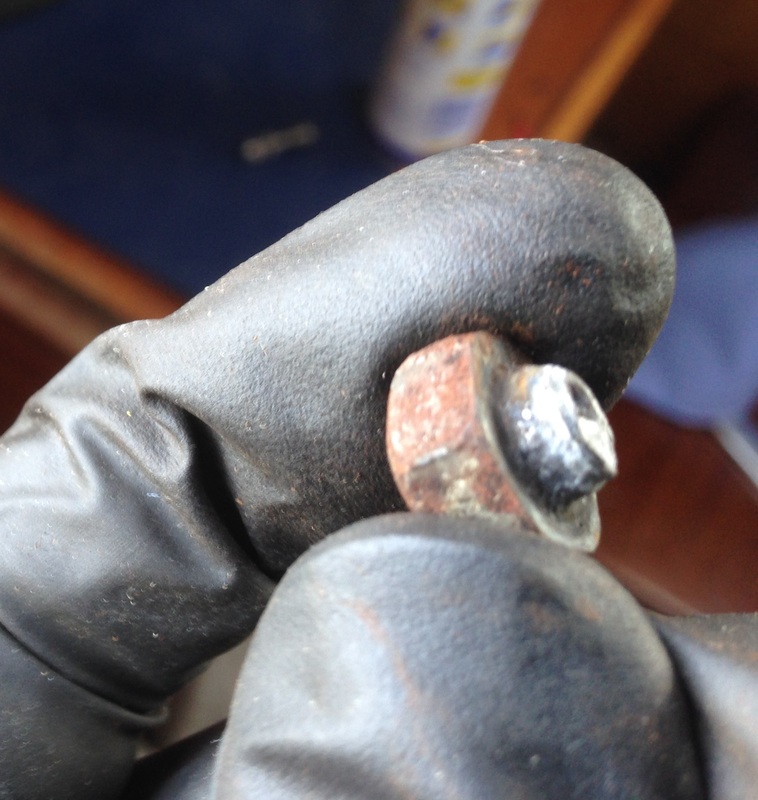 It was with much relief I could move on beyond this one, small broken bolt. 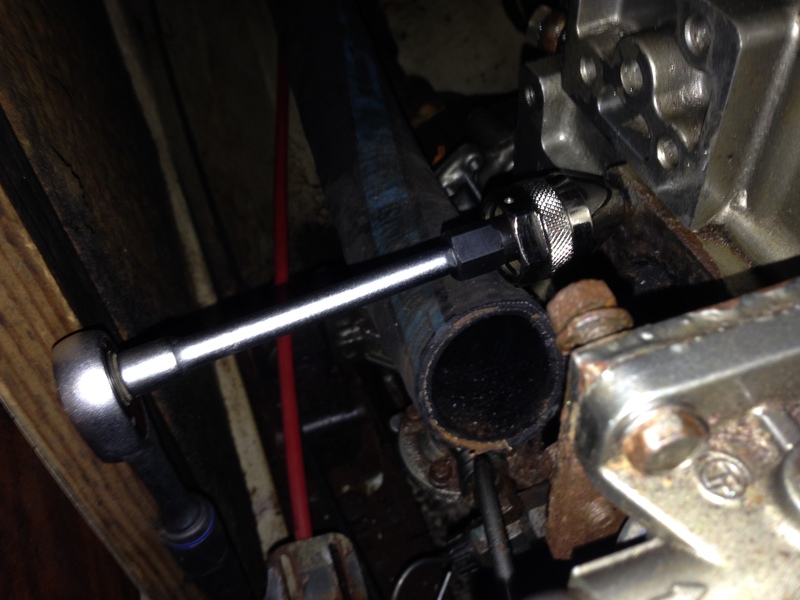 I purchased new bolts and reattached the exhaust elbow, this time ensuring I applied liberal amounts of copper grease to ensure next time I need to inspect the elbow it won’t cause quite so much heartache!